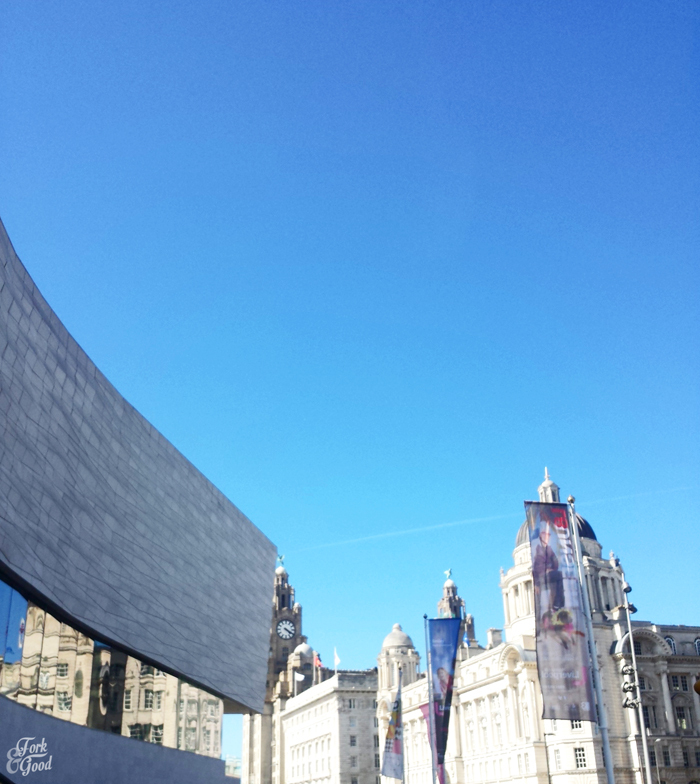 I went to Liverpool, and I fell in love. - Fork and Good. Home Liverpool travel UK Travel I went to Liverpool, and I fell in love. 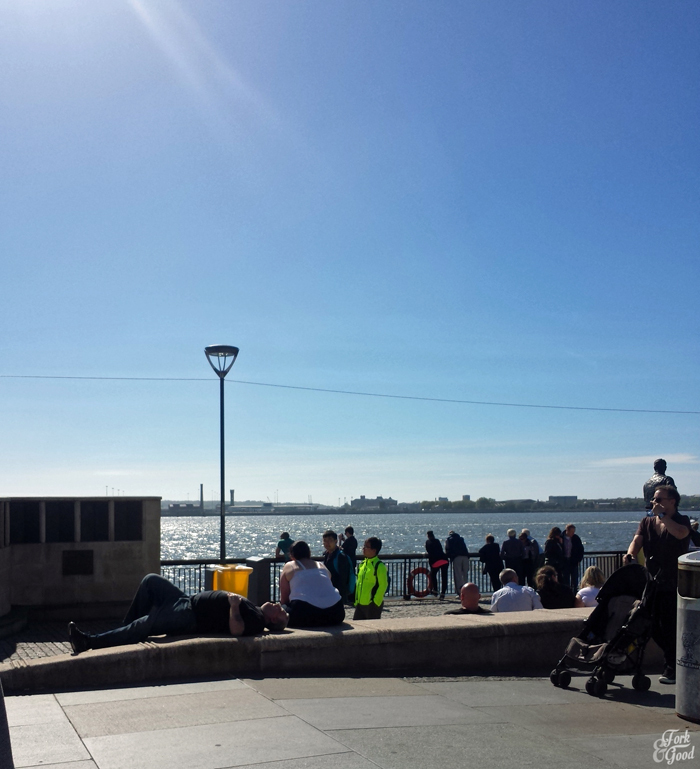 I went to Liverpool, and I fell in love. Spoilers. This trip went well. Before I was offered the chance to go there, Liverpool had not really been on my radar. I don't mind a few of The Beatles songs, but I can't say I'm a raving fan, desperate to walk the streets they walked on, stand in their childhood homes or gaze upon their instruments. Before this weekend, the only association I had with the place is my Husbands undying love of his football team, and the fact a friend of mine did her masters there. I'm not afraid to say, football isn't my thing and I never visited my friend whilst she was here. So as I said, Liverpool was not on my 'visit list'. Boy, was I wrong to think that. From the moment our feet touched base at the train station, I was blown away by how pretty it was, and here's the thing, the people were incredibly friendly. Nope, nothing to see here. Just pure blue skies, and beautiful buildings. As we stumbled around trying to find our hotel, a lovely old scouse gentleman came up to us and offered to help. He didn't just give us directions, he gave us a history lesson on the buildings we'd pass and how it had looked when he was younger. He obviously loved his city. I know this because he said it as he sent us off on our way, full of Liverpudlian knowledge and contagious excitement. Then we got lost again. I mean, I was full of that contagious Liverpudlian excitement. I was too busy trying to see the history from the stories we'd just been told, that I walked right past the turning we needed. As we gazed from map to street signs, another lovely lady came up and offered to help. 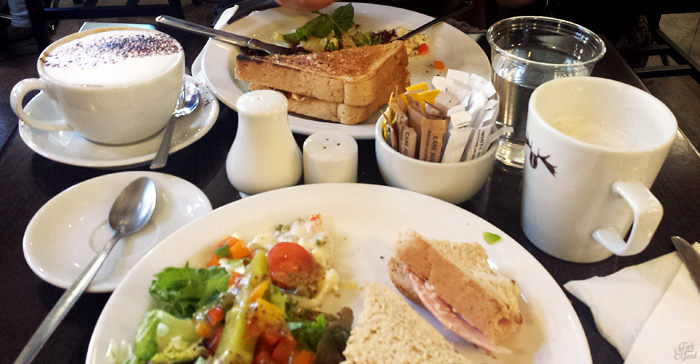 This time we got a food recommendation, "There's a brilliant little cafe up there. Order the caramel coffee cake and you'll be hooked!" 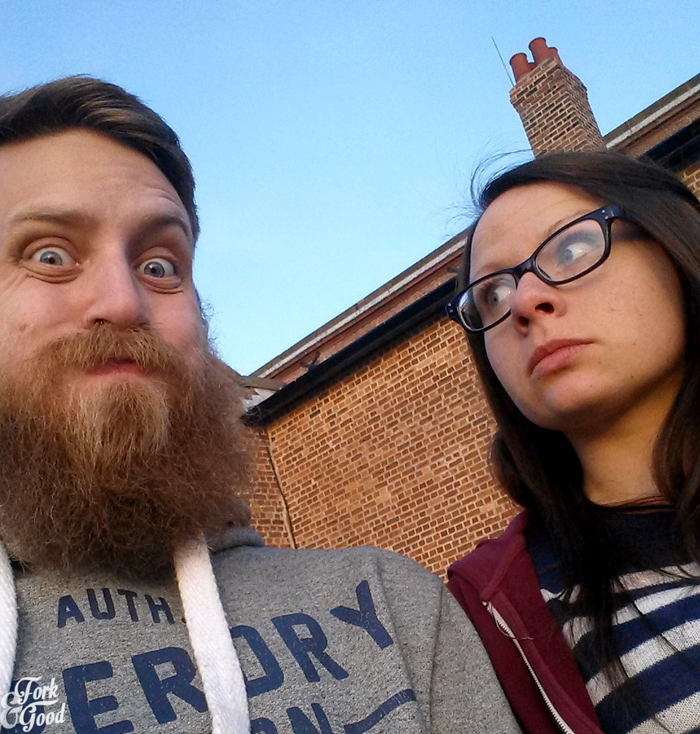 So far Liverpool was like a living, breathing guide book, and we were loving it. Apart from the searing pain in our arms from our heavy bags. Finally, after 40 minutes, we arrived at the hotel. 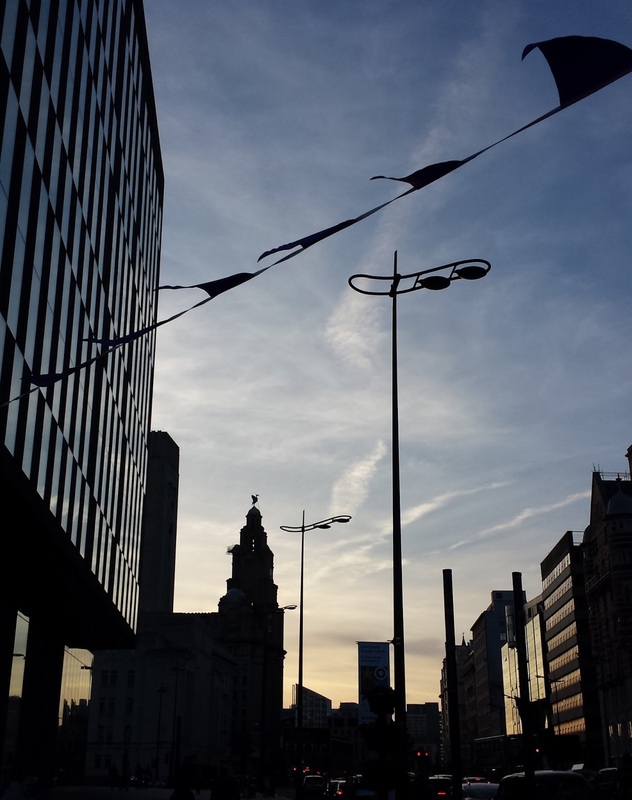 We dumped our stuff, had a little freshen up, and walked straight back out into the streets of Liverpool. 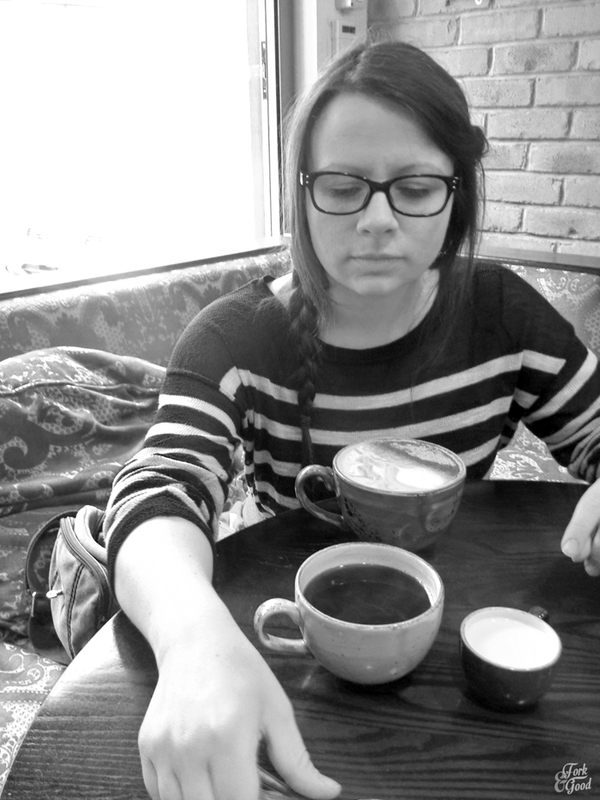 The first place we visited was one that had been recommended to me several times, and that was Central Perk. It's a friend's themed cafe, where you can order a large coffee (or cake,) sit in a comfy sofa and obviously, watch Friends. We were utterly knackered after lugging our bags around and after 5 hours of waiting for late trains, being on the actual trains and walking, we decided to indulge our curiosity and go there first. I know I'm a food blogger, and I'm supposed to be into individual places, and telling you to order weird things and support small businesses (please do all those things too.) I'm also aware that I was in Liverpool and not New York, so the whole premise is strange (even stranger is that there are two in Liverpool, and I went to both). But the place was awesome. If I wasn't full of train snacks, I would have ordered cake. Or a smoothie. There was a lot to choose from. They even bring your drinks to you. I like that. I'm lazy. 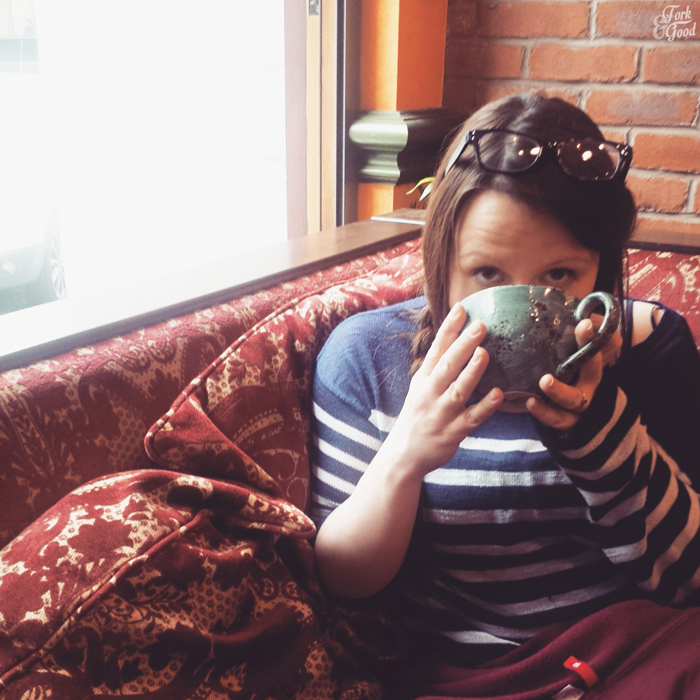 So after hours of sweaty travelling, we relaxed into the window seat with very large coffees, in mugs I wanted to steal and set ourselves out a little itinerary, almost completely recommended to me by the awesome blogger Hannah (seriously, go check her out, she's awesome). After a couple of episodes, a chat and a few drinks, we pulled ourselves up and set about exploring. 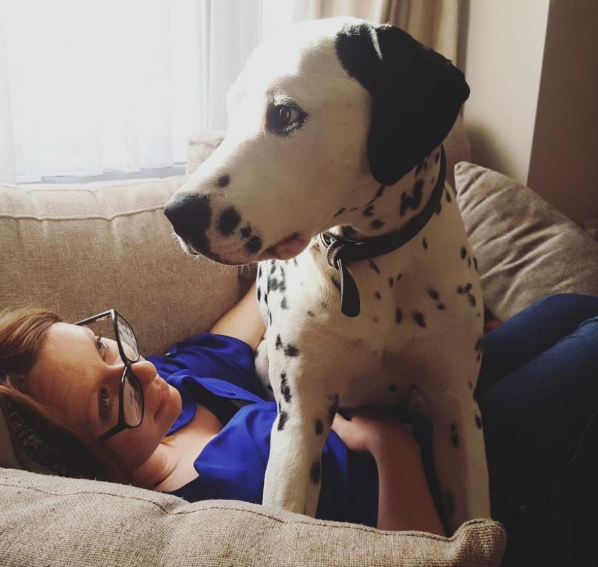 This is my favourite part of travelling. Wandering the streets, drinking in the atmosphere and all that wondrous travel crap you read in guide books that is actually true. We decided not to do any touristy stuff that day, instead tried to mind-map the area and find out where things were. 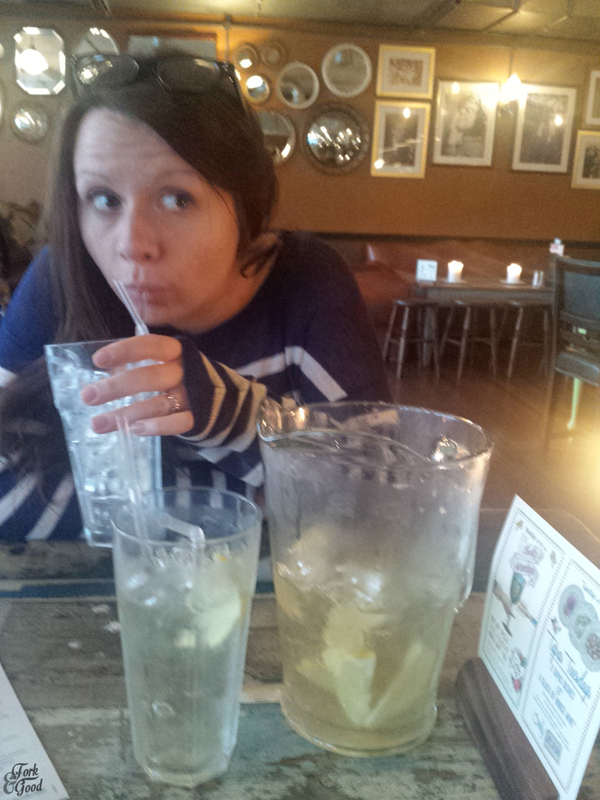 Then my belly rumbled, and this is how we ended up on Bold street. The street of magical eats. Perfection just off the pavement. There were a lot of amazing places to eat there, bascially is what I'm trying to say. We settled on Lucha Libre, because the website was bright and awesome and apparently that draws me in like a moth to a flame. It appears we got there just in time, as we were seated right away in an almost empty restaurant, and 15 minutes later it was packed. I'm talking, shouting across the table to each other, the occasional arse in your face as they try to push past, packed. The food was good. Not my favourite of the trip but I can see why it is so popular. I ordered the veggie enchiladas, and I finished them all. I didn't take a picture because everything was coming out blurry and I couldn't be bothered. Now, I love spicy food, and I'm aware this was a Mexican restaurant, and pretty much everything was spicy. But oh my days, that dish was bloody hot. I have no idea why I added extra hot sauce at the beginning. BUT EVEN MY EYELIDS WERE SWEATING. It was pretty great. As I spontaneously combusted into a chili induced sweat, I finished off my meal, and had some sweet potato fries. They were banging, and not spicy. Which my mouth was thanking me for at that moment. Then we ordered pudding. Kris went for Lemon cheesecake and I went for the churros, because the only one I'd ever tried was the circumference of a stripper pole, and I have been told that's not authentic and I must try again. 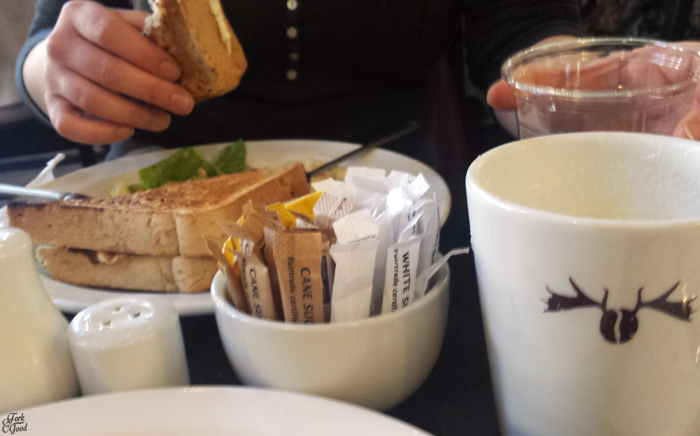 Before we even knew it, our lovely waitress was at our table, apologising for the long wait for the puddings. I'm from a small town in the midlands. I'm good at waiting for stuff, in fact I'm a master. But honestly, I hadn't noticed the delay. Before I knew it, our puddings were on the table and they were free because of the wait I hadn't noticed or commented on. I'd call that a win. 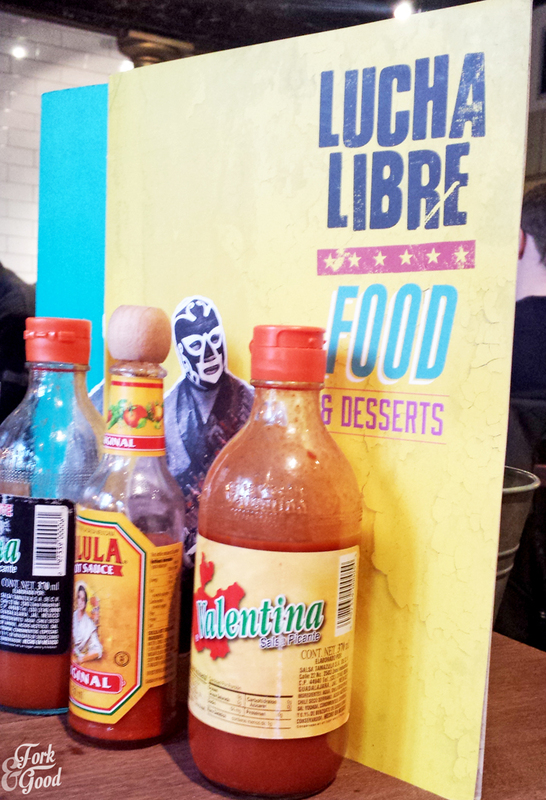 Customer service at Lucha Libre is really good. So, the puddings. Kris loved his cheesecake, it was gone in less than a minute. 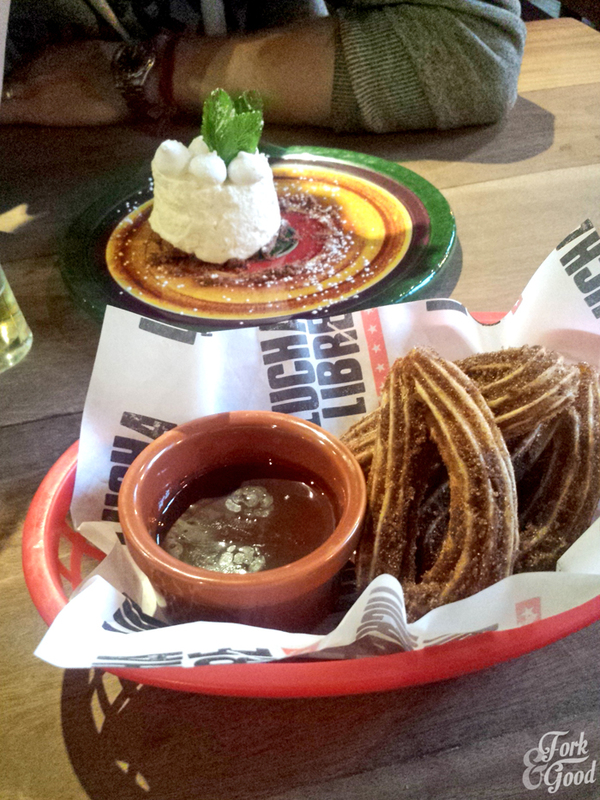 My churros were very crunchy, almost lbrittle like, a bit like breadsticks, I wasn't sure if that was how they were supposed to be, but they were moreish non-the-less. I made a mental note to do more churro testing if possible. Then we went to walk off our giant meal. The friendliness of the city imposed itself on us again. In a half an hour period, we were initiated into some awesome conversations with the locals, had a chat with some security guards about the food fair and was even shown where the loos were as we helplessly searched around a pub. After an hour or two of walking we ended up on the docks, which was lovely. 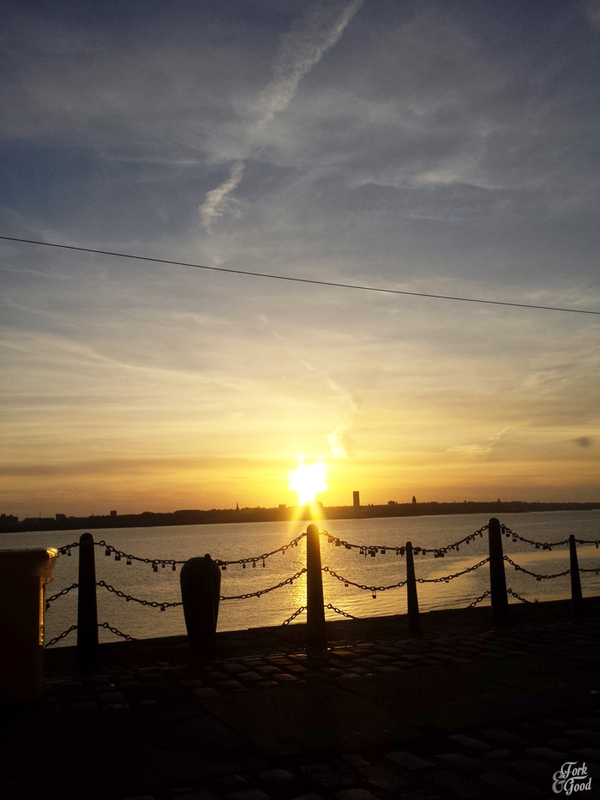 I think I can correlate falling in love with Liverpool at the moment we sat on the docks, watching people take selfies with the sunset. 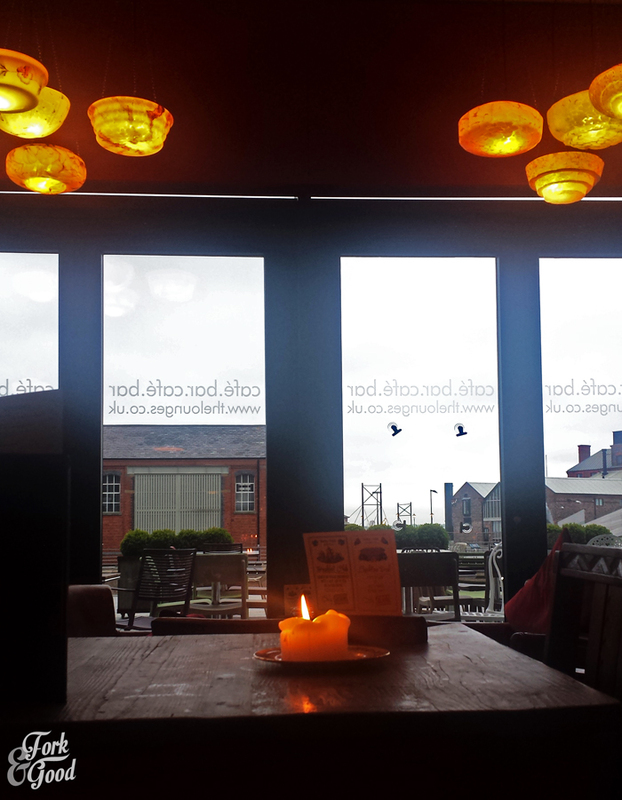 As it started to go chilly, we decided to head back, but not before stopping off at a place called Brasco lounge. It advertised tea, cocktails and cake on a little black board outside. It was pure spur of the moment, so I hadn't researched it, but I'm glad we went in. We were greeted like old friends, sat at tables made from rustic wood and felt right at home, mostly because our house it decorated in a very similar way. 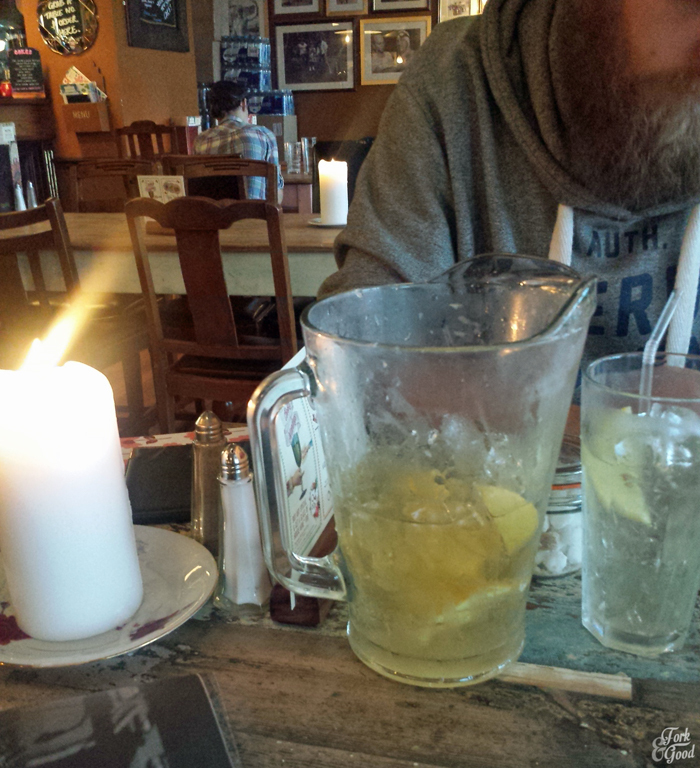 Our decision to have a quick beer, turned into a cocktail, which then turned into a pitcher of cocktails, because it was cheaper to do that. Of course. We stayed there for a few hours, drinking, chatting and watching the outside turn black. I'm glad we went the day we did, every other time we walked past, it was packed to the rafters. Pictures starting to get a little blurry on my husbands side. Under the influence of the pitcher of tea cocktails we had consumed, we danced back to the hotel, where we collapsed into bed and so ended our first day in Liverpool. Day two started early on Saturday morning, at the all you can eat breakfast, where we tried to eat off some of the effects of the previous nights cocktails. Nursing a small cup of coffee, and three plates of food, we planned the day ahead, the weather looked dull, we were warned it might be chilly as we headed out, so we decided to start off with some museums. 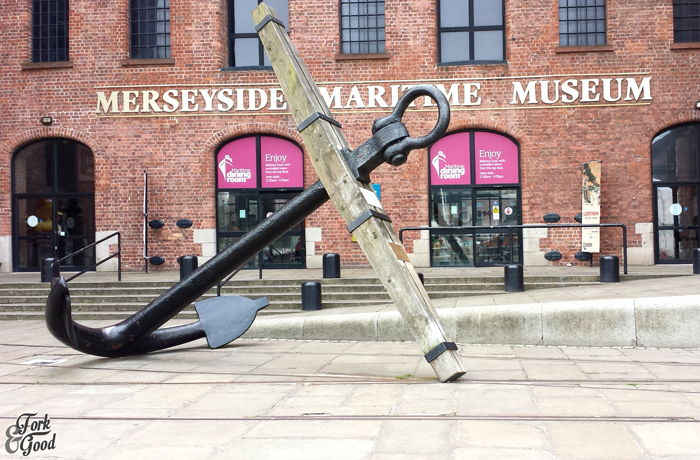 First stop was the maritime & international slavery museums. We were there for opening, and we must have spent a good six hours exploring it. They currently have a brilliant Lusitania exhibit on. I found the titanic one especially appealing. I spent a good 10 minutes studying the uniform of a maid who was rescued, and had been wearing it at the time. We spent a while in the slavery museum. It was thought provoking, and intense, and we had to take a few minutes after to sit in silence and have a cup of tea and a ginger beer. It's not an easy thing to walk around, some of it is very hard to take in, but it is interesting, frightening and educational. 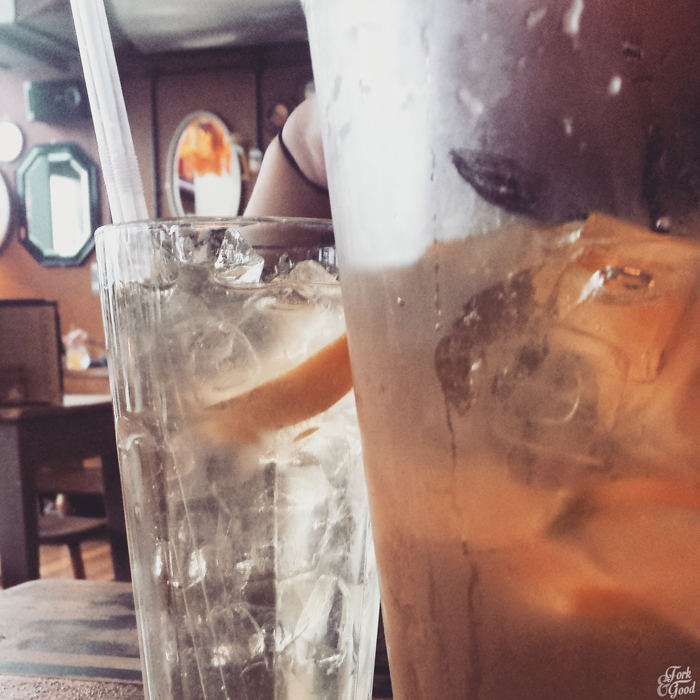 We stepped blinking into blazing sunshine, and decided to go for lunch. Our choice of clothes was starting to weigh us down, so we decided to stop for lunch at Moose, as it was near to the hotel and we could go and change after. Moose is pretty popular, ever time we had passed before, there was an orderly little queue waiting to go in. Once again we were lucky with timing, we arrived, were seated and had food in front of it in under 10 minutes. 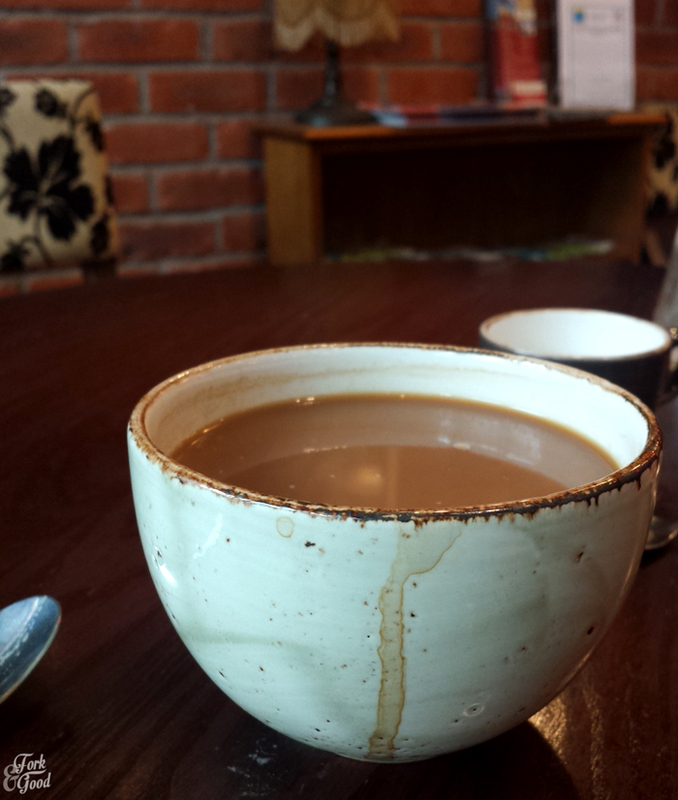 The coffee is so good. I'd never understood people saying coffee was good before. 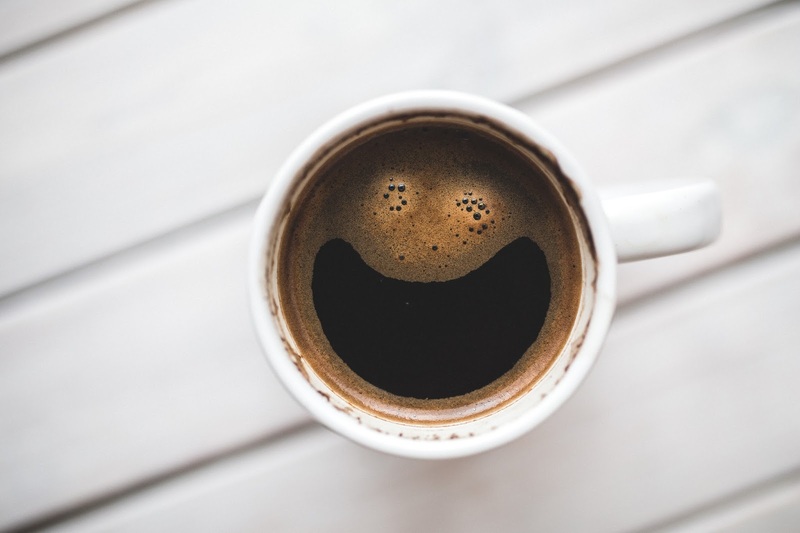 I like coffee, but it all kind of tastes the same to me. 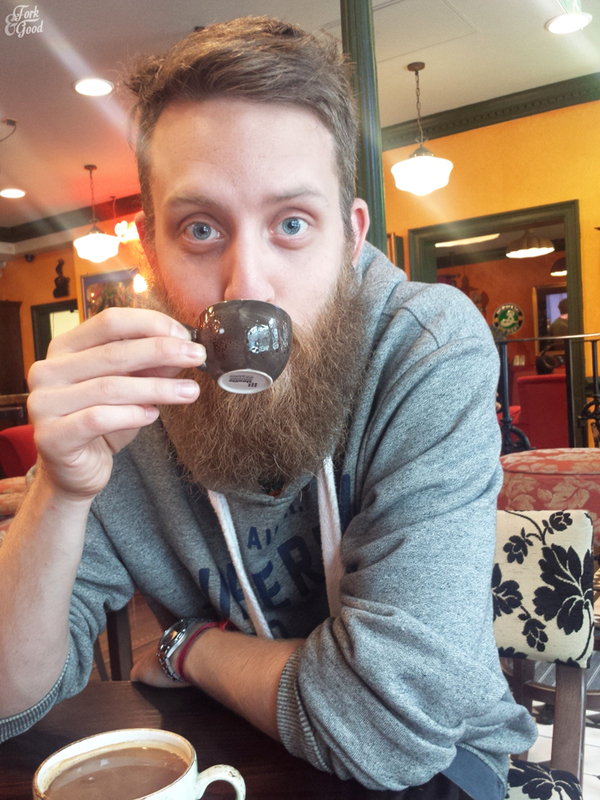 Moose coffee opened my eyes to the fact that I have been living a lie. It was smooth, none bitter and really nicely flavoured. I even had to drink some of Kris' Moose Macchiato out of need. I settled on the Westerberg sandwich. Which was a pretty tough decision in the face of waffles, pancakes and other American breakfast features but I made the right choice. I enjoyed it so much, I got strange looks from the table of ladies next to me. Stuff you. That sandwich was intensely good. We packed up pretty quickly as the queue outside was getting pretty long. I raised my empty mug to my mouth and let the final remnants quietly drip into my mouth. 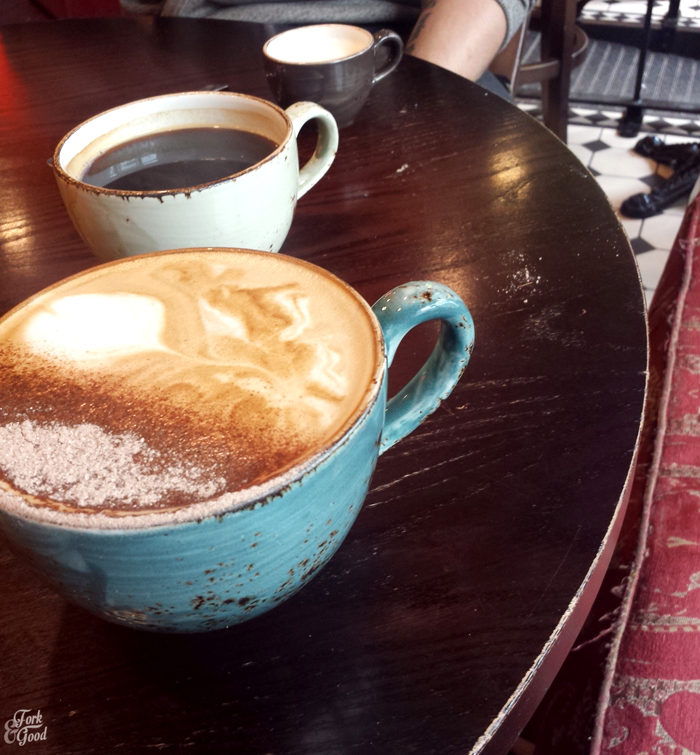 It was my farewell to the best coffee I'd tried so far. I knew we wouldn't be going back. We had so little time, and so much food to try. We walked around for 6 more hours, taking in some sights, watching street performers, having a few drinks along the way. Then we ended up at another museum. We were so tired and sweaty though, that we decided to walk back to the hotel, have a little freshen up and then book somewhere for dinner. We fell asleep for an hour. When we woke up, the places on our list that we had wanted to go to had no reservations left. So we decided to take our chances, and head out and find somewhere. I'll just speicify this was on a Saturday. In the city centre. In the lead up to a big event. Ugh, we are dumb. We were walking around for about an hour, trying as many places as possible with no luck. Everywhere was either fully booked, had over a 90 minute wait or could only squeeze us in for a drink. I was getting pretty hungry, the sandwich from heaven seemed like a long time ago. We ended up somewhere that was okay, and whilst it filled a need, it was a chain and nothing to write home about. It was bloody expensive too. Feeling a little better after a quick meal, we wondered around the docks again. The sun was just setting, so we got some good pictures. This was when we stumbled on the food fair. Little huts all lined up, serving up little delights. AND THEN I SAW THE CHURROS HUT. £5 for a serving. All I had left was a £5 note. IT WAS A SIGN. A FANTASTIC MAGNIFICENT SIGN. Yes I changed back into this jumper. Get over it. 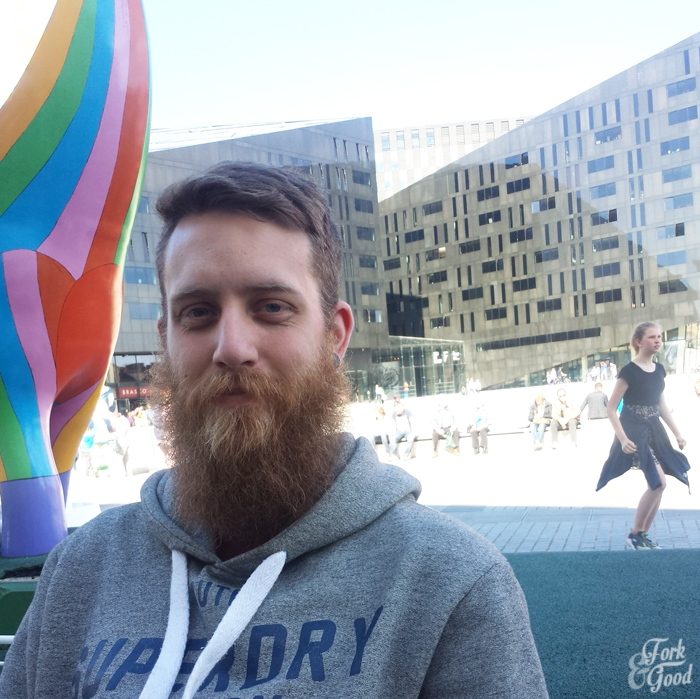 We grabbed some churros, which were the best so far in my experiment and walked along the docks to the line of benches, where we sat for an hour, eating churros and having a laugh. 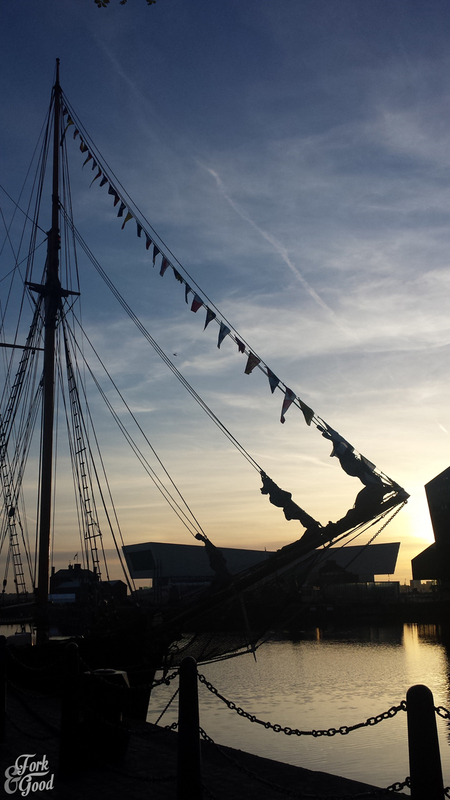 We watched the sun go down, and then walked back through the docks, watching people setting up for the big three queens event that was happening on the Monday. By the time we got back to the hotel we were pooped and full. So we made ourselves a tea, watched a bit of euro-vision and fell asleep. The final day started early back at the all you can eat Breakfast, surrounded by hungover hens and stags. I was struggling to eat. I know. I'll let that sink in, I was pretty full of food. We halfheartedly went for a final walk around the docks, and tried to get into Leaf for some much needed tea, and even made the walk to some of the other little places on our list but our good luck had run out. Everywhere was packed. We took in some more sights, had a few cups of coffee, chats with locals and then it was time for home. 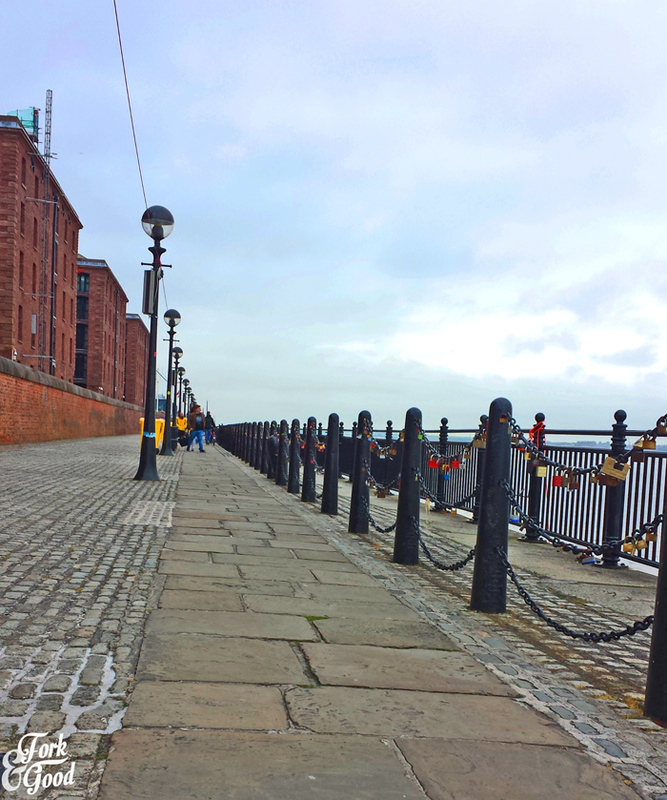 I hardly got to visit any of the amazing places that Liverpool has to offer, but I saw enough to fall in love. If you like food, ships and walking I recommend. Also it's stuffed to the brim with Beatles things, and you can't help but see some of the sights, signs and memorabilia because it's everywhere. It's hard not to get caught up in the excitement of it. Even if you're not a huge fan. I left Liverpool tired, a little fatter and a human version of a coffee pot but I would go back again in a heart beat. So let's get the disclaimer out of the way, Travelodge offered me two nights in their Liverpool Central hotel for free. I wasn't paid to write this, but they did ask for me to tell you about the room. 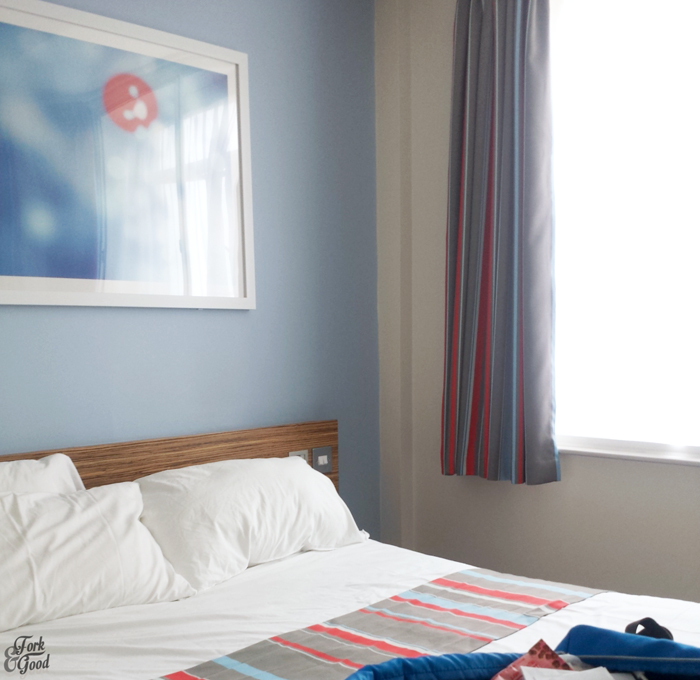 For those not in the know, Travel lodge is a budget friendly chain, with hotels dotted around the country. For a decent price, you get a bed, bathroom, tv and tea making facilities (this is important.) It's not the Ritz, but it's a good base for budget travelling (if like me, you are adverse to hostels) Our room was your typical Travelodge room, bright and airy (we had windows on every wall, so I was pretty happy.) 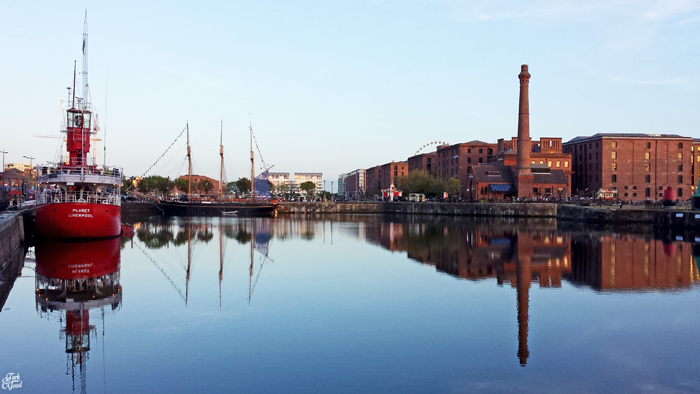 We stayed in the hotel near the docks, which suited us perfectly. The breakfast was good (all you can eat, and I like a challenge) but nothing to write home about. Unless you like writing about breakfasts. They had made a big deal about the beds being comfy, there were posters everywhere telling me so, and even a little placard on my bedside nook. I found it to be very true. I slept like a baby both nights. Cheers for the opportunity Travelodge. The room. I made the bed for this picture. That's how seriously I take this stuff. Fantastic photos. Looks like you two had a blast. 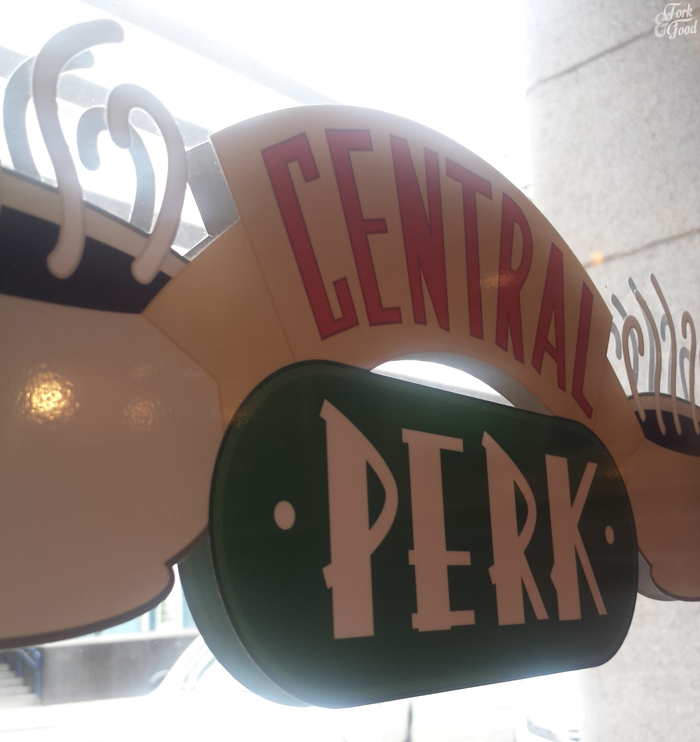 How cool that there's a Central Perk there. That in itself look awesome. 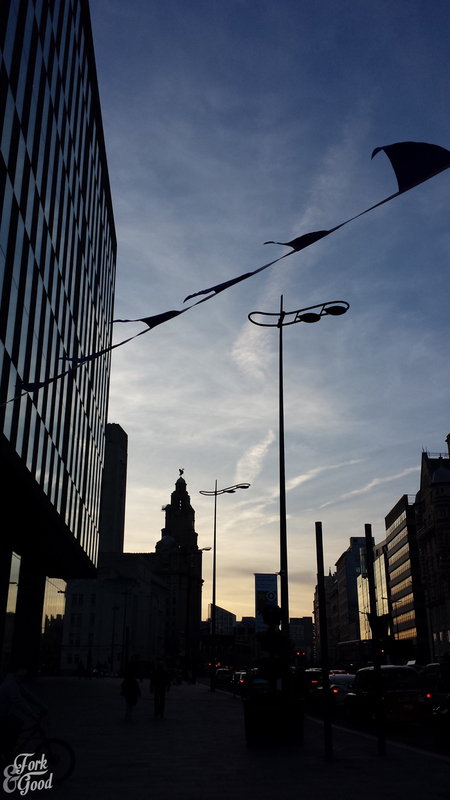 I've only ever been to Liverpool once, and that was when we travelled to the arena to watch the Supercross racing. Didn't get to see the sights though which is a shame since it's only about an hour and a half drive away. Whats with all the padlocks? Glad you two had fun. That's cool Travel Lodge paid for the rooms and gave you some dosh to spend in the city. How cool is that? Hook a sister up, girlfriend! I could definitely do with a little mini break right now! Looks like a really fun trip! LOVE it! I wanna go to Central Perk, but it's weird it's in another country! LOL! They had a pop up Central Perk in NYC a while. Cool! I am so glad that you two had a great time in Liverpool. And churros..I don't even want to tell you how much I love them. The stuff is pretty addictive! 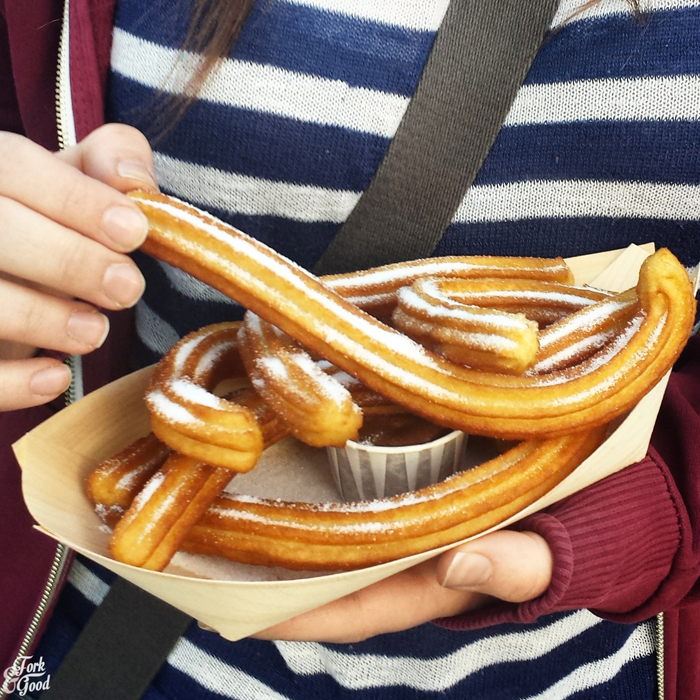 Those churros look to die for. What a wonderful food filled day! 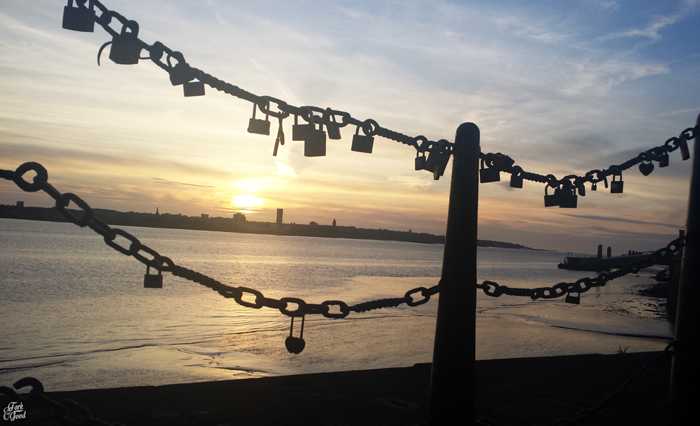 LOVE your photo of the locks on the bridge silhouetted with the sunset ... gorgeous! Isn't it the best thing when you visit a city not sure what to expect and then fall in love? That's pretty much what happened with me and Newcastle and now I live here! 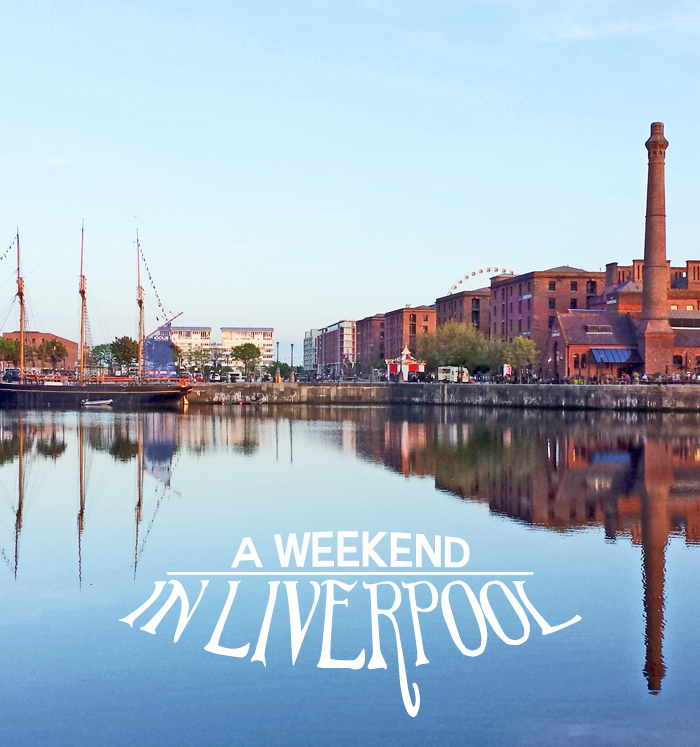 I've been to Liverpool, many many years ago with a friend and loved it - lots of walking, the Liver Building and the Albert Docks sticks in my mind. Oooh and I think we went to a bar at the top of a really tall tower that had fantastic views. Ah we just got back and we LOVED it too! So amazing!